My name is Nick (That’s me above) and i started selling on amazon about four years ago. Around two years ago the private label business got to a point where my two friends and I were able to quit our jobs and take the business full time. Today i want to explain exactly how the private label business model works and how we have used it to create our very own seven figure business. Make sure you hang around to the end as i’m going to show you how you can find hot selling – low competition products that are suitable for private label. You create your own brand of products that you sell exclusively on amazon. It’s that simple. Let me explain it all in a little more detail. Before you get started you need to make sure that the private label business model is right for you. 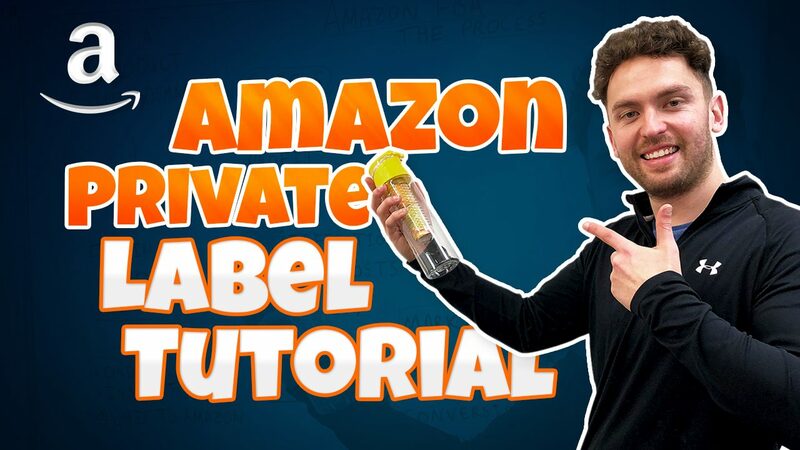 I’ve put together a short video to explain exactly how the amazon private label business model works. Before we dive into private label any further it i think it’s useful for us to establish the difference between these two types of amazon sellers. It’s very straight forward, if you are a private label amazon seller you will be creating and selling your own range of products. If you are a reseller, you will be selling other peoples products. Normally OA sellers will use software to scan stores and find products to purchase and re-sell on amazon. Drop shippers never actually handle goods, they just connect online buyers to online sellers and make a cut in between. OA sellers purchase and receive goods. Once received an OA seller you will then need to prepare and package the products before sending them into amazon. Due to amazon’s barcode requirements you will need to label each product to ensure they correspond to a relevant amazon listing. Amazon also have pretty strict packaging rules, before you jump in it’s always worth reading through amazon’s terms of service. We actually have two amazon seller accounts, we do both online arbitrage and private label. Our core business is private label but we do enjoy online arbitrage, it’s just a slightly different ball game. This follows the same arbitrage model as above. You find and purchase products, prepare and package them up before then sending them into Amazon to re-sell for a profit. RA Sellers travel to different physical stores to purchase their products, a lot of their time will be spent out on the road sourcing and purchasing stock to re-sell. They will spend a lot of time trawling the clearance section of stores, scanning products to find the ones they can resell on for a profit. Usually RA sellers will rely on scanning apps to make their sourcing process more straight forward. You will usually have to pay for the apps but they make life so much easy. One scan of an items barcode and the app will tell you the profit you’ll make after amazon fees and how many you could expect to sell on a monthly basis. I have huge respect for retail arbitrage sellers and it’s fair to say some of them are doing incredibly well for themselves. His YouTube videos are also well worth checking out too. He really is a natural born hustler. Reezy if for some reason you are reading this, thanks very much for the content! Although we don’t do too much retail arbitrage the way you have honestly shared your journey has been incredibly useful. Ok so the product you can see me holding in the picture above is actually the first EVER product we sold under our private label business. Th private label business is my favorite amazon business model because you as the seller own the asset. It also goes beyond selling on amazon, you can sell your own brand of products ANYWHERE on the internet. It is NOT a get rich quick scheme. It really does take hard work and effort. The PL business model also come with A LOT more responsibility… Let me explain what i mean. Here is how the process works for a typical private label amazon seller. 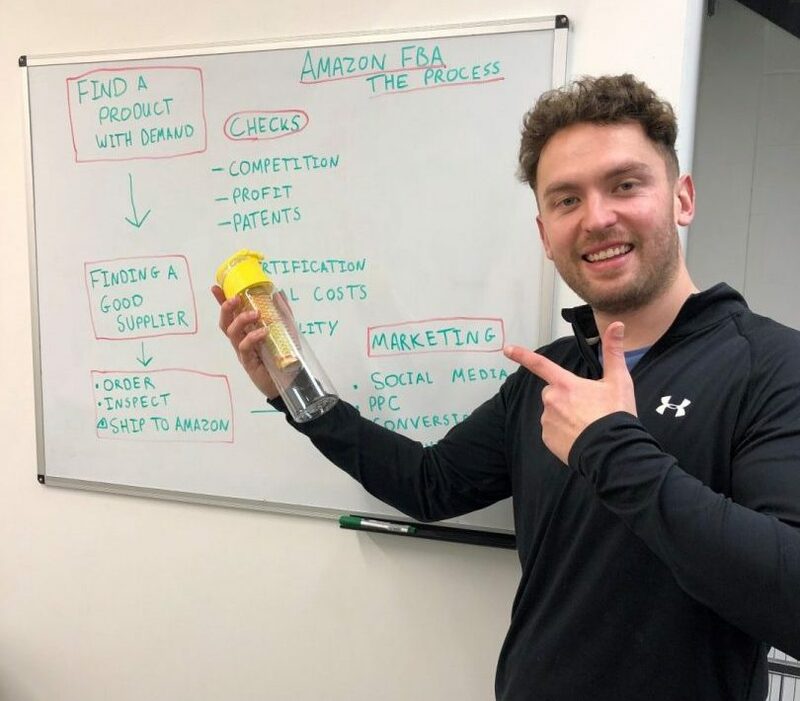 First you will need to identify a product opportunity, you need to find a product that has good demand on the amazon marketplace of your choice. Next up you need to do everything possible to check that the product you have found is safe for you to private label. A lot of sellers seem to think that if a product is being sold on sites like alibaba or global sources it’s ok to sell. This is not the case. Ultimately it’s your responsibility to make sure that the product you intend to sell does not infringe on anybodies intellectual property rights. It isn’t always completely obvious either, the product you intend on selling may have a very small feature that has been patented by somebody else. Let me give you an example of a design patent. I’d always recommend talking to a professional before you do anything with trademarks, i can only talk from my own experiences. Ok, back to the nit comb. For me the last point “very few competing listings” is a giant red flag. If there is only one or two sellers there is a good chance that the product holds a design or utility patent. Look out for unique product features, if there are only one or two sellers i’d suggest looking into their company information to see if they hold a patent. I won’t rule these products out, i just need to carry out research to ensure that my intended private label product isn’t going to infringe on anyone’s rights. If you do try and sell a product with a patent, as soon as your product is visible it’s likely that the rights holder will raise a case with amazon. It usually won’t be long before your ASIN is blocked and in some cases your account will be suspended (this depends on the history of your account health). 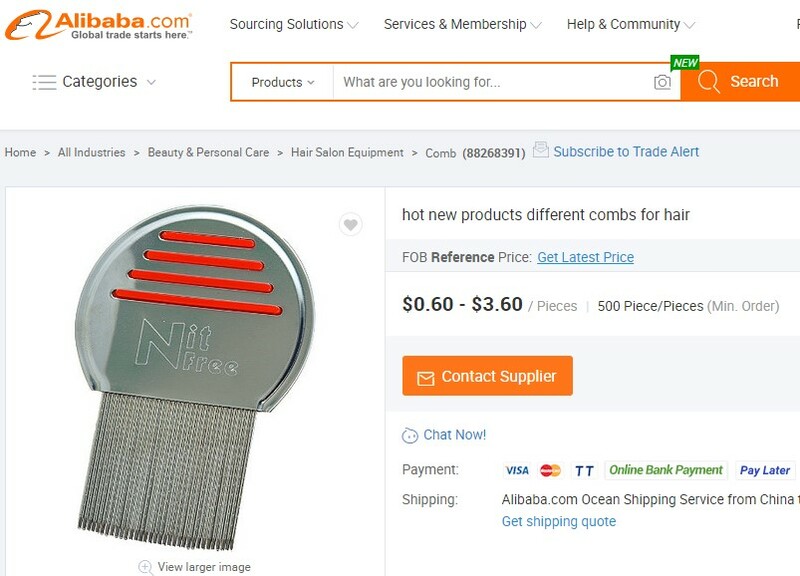 Here is the top selling product in the nit comb category, do you notice any similarities? I think if you were to private label this product you could face BIG issues. The comb looks almost identical and upon further investigation they look to have the same micro-spiral grooves. You’ll see the red arrow i have added into the image above, it points to the words “Patented micro-spiral grooves”. We looked at this product a few years back, “Nitty Gritty’s” superior product dominates the market with this patented design feature. This is the sort of thing you need to look out for, patents and trademarks pose one of the biggest risks when it comes to the amazon private label business model. But you must realize that the responsibility is completely on your shoulders. Take it from somebody that has experienced it for themselves. Let’s take a look at some private label brand examples. I thought it would be useful for us to have a look at some of the best performing private label brands on amazon. I have no affiliation with these brands, i have simple chosen them because i like the look of them. 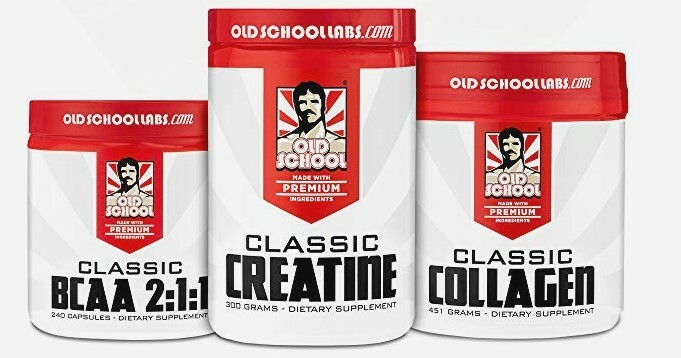 These guys are a UTAH based private label brand that have grown their supplements business to dizzy heights. Their amazon numbers are astonishing. I love how they tell their brand story across their amazon store and their product listings. Their listings are well thought out with clever marketing principles in mind. They include cross selling images in most of their listings to ensure their average cart value is as high as possible (amazon will like this a lot). Their parent company “Neutraceutical International” was actually sold for $446 million in 2017, amazon private label is big business isn’t it. If you are new to selling online, i’d approach the market with caution. There are plenty of other untapped niches that you could build a private label amazon business on, don’t worry i’ll show you how to find these product opportunities shortly. These guys understand branding, in my opinion they do it very well. Ok so they are another supplements company, but their angle is slightly different. These guys target the muscle building market – unlike Zhou nutrition with their health and wellness supplements. You see the supplements market has a lot of different sub niches and this is the same with most niches. If you want to succeed it’s important for you to think outside of the box. If a market is saturated you will need to find your own unique angle, otherwise there will be no reason for customers to choose you over the competition. Unsurprisingly Amazon have a lot of their own private label brands. A lot of people say to me; “Aren’t you scared of amazon taking over? In years to come they will own ALL the brands on amazon!”. Firstly, Amazon will be being watched very closely by the various anti-competition agencies. They are already seen as a monopoly. Secondly, i think Jeff Bezos knows this is just bad business. Third party sellers make up a huge percentage of amazon’s revenue, Amazon make more money from their third party sellers and arguably with less risk. He openly states that amazon’s third party business has grown much faster than it’s first-party business. Over two decades Amazon’s third party sales have grown from $100 million to $160 billion, not bad huh? Anyway, as promised let me show you how you can find hot selling products with low levels of competition. Over the past few years we have sold A LOT of products on amazon, our product research method has evolved as the years have gone by. The following video is a tutorial to show you exactly how we find our winning products. I really would recommend you taking the time to watch the above tutorial through to the end, the current amazon opportunity won’t last forever. If you are interested in learning more about amazon FBA i’d recommend subscribing to our YouTube channel. The channel is updated with useful content every week. The software i used in the above video is called Helium 10, it’s a tool i use every single day. I’ve actually written a pretty lengthy article explaining how i used each of their tools. If you are interested you can read the article here. If you decide to use them, i will make a small affiliate commission. This won’t make it more expensive for you but i feel it’s only right that i mention it. I really hope this article has brought you value, i want you to understand exactly how the amazon private label business model works. I’d love to hear what you think, and if you have any questions please leave a comment below! I’ll get to it ASAP!